People who live in cold countries are more likely to drink more alcohol, according to a study from the USA. Join Sian and Clare to learn more about this news story and to learn lots of great phrases to talk about drinking alcohol. People who live in colder countries are more likely to drink more alcohol, according to a study from the USA. 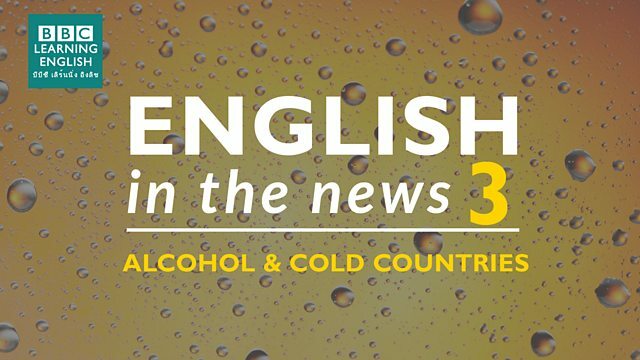 Join Sian and Clare to learn more about this news story and to learn lots of great phrases to talk about drinking alcohol. Which word refers to a period when you do too much of an activity? I love that series! We ______ - watched the whole series last weekend! Can you remember the three examples Sian and Clare gave? Which sentence using 'heavy' is NOT correct? You need an informal word for alcohol. I'm going to stop drinking ______ and caffeine this New Year!